In 1966, Stewart Orzoff founded Orzoff Law Offices with the goal of protecting the legal rights of injured people throughout Chicago and its suburbs and maximizing their financial recovery. Now with two offices, in the downtown loop and in Northbrook, Stewart and his sons continue his practice of helping people with personal injury and workers’ compensation claims. Contact our workers’ compensation attorneys for a free consultation and discussion of your options if you have been injured on the job. Unfortunately, car and truck wrecks aren’t all you have to contend with. Post-traumatic stress disorder associated with traumatic encounters with unruly passengers is not uncommon. Encounters with those committing criminal acts, for example armed robberies committed on transportation ticket agents, can be a real health risk leading to expensive medical treatment. In fact, many government workers face constant contact with the public, which in itself can unfortunately be dangerous. Assault and battery is not unheard of in today’s world. If these things happen to you when you are working, they qualify as work injuries subject to workers’ compensation. At Orzoff Law Offices, we offer a free consultation to discuss your situation with you. We will advise you as to all of your legal rights and options. We can guide you in seeking qualified medical care, whatever your situation. Contact our Northbrook or downtown Chicago law firm. We will work with you to help obtain compensation for doctor, hospital, or psychologists bills, rehabilitation, long-term care, chiropractic care, lost wages, and permanent disability. For more information about work injuries, please see our Workers’ Compensation Overview and Frequently Asked Questions pages. 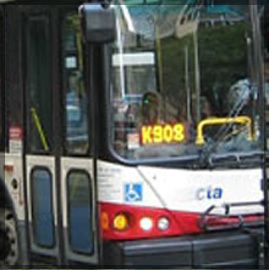 We have two locations in the Loop and in Northbrook, both of which are convenient to public transportation. We also offer Spanish and Polish language legal services.